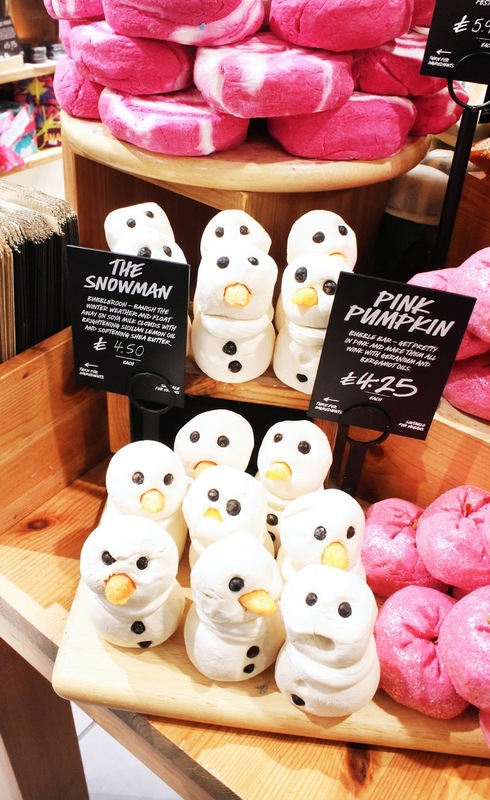 If you follow me on Instagram (and if you don't, make sure you are *cheeky plug*) then you may have seen on Thursday this week just gone that I attended my first ever Lush event at my local Lush Worcester store to see all of the new Halloween & Christmas products. Seeing as this was my first event I definitely embraced it and took so many pictures, that I couldn't not share them with you! If you've ever attended a Lush event, then you'll know how much fun they are as you basically get free roam of the entire shop and also the undivided attention of the Lush sales assistants to fill you of wonderful knowledge behind all of the latest Lush products, and it's safe to say i've come away having learnt so much and lusting over wanting to buy every single bath bomb and bubble bar that they stock! 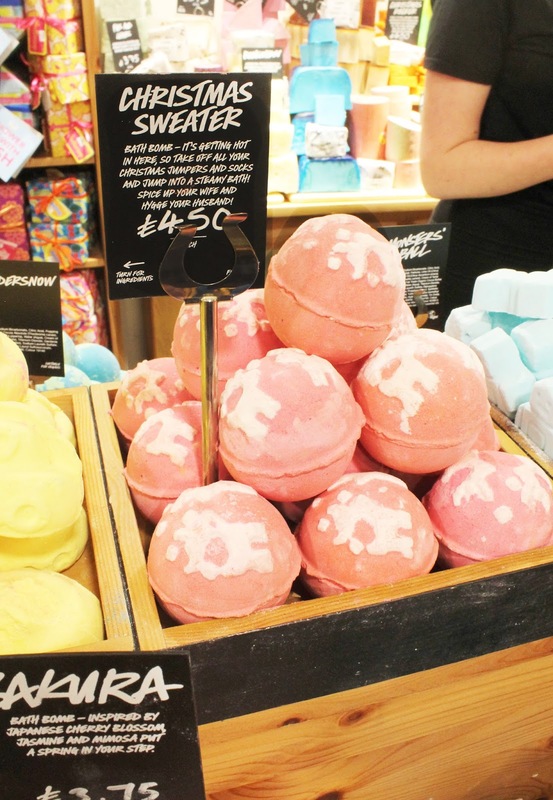 Amongst the new collections were so many amazing bath bombs, which included their latest endeavour being the Jelly Bombs which I hadn't heard of but let me tell you they are amazing! Essentially they work as normal bath bomb, but whilst also giving your bath a colour explosion they also leave a jelly like residue making having a bath so much more fun! Whilst at the event I saw the Ectoplasm Jelly Bomb (£4.95) being demo'ed which is from their Halloween collection and this just gave ultimate slime vibes which I thought was so cool! This year they have also released a Snow Fairy Jelly Bomb (£4.95) which unfortunately they didn't have in store just yet but the sales assistants described this more as a candy floss kind of jelly bomb, which sounds absolutely incredible and i'm definitely getting my hands on one when they come in stock! Also whilst at the event I picked one of the Lush sales assistants (Jess you were amazing for putting up with all of my questions) about the new hot oil treatments, as i'd seen a few things about them here and there but I wanted some recommendations as to which would work for my hair. She explained, whilst also examining my hair that they look to see the condition of your hair by feeling if the hair feels bumpy, and also seeing how the elasticity of your hair is, and from that they pull out a few they'd recommend to use. As my hair is damaged, she recommended the Yuge Hot Oil Treatment (£6.50) which smells of peppermint and I just loved the sound of this one! She also recommended Marilyn Hot Oil Treatment (£6.50) which is another that is good for damaged hair, but out of the two scent wise I preferred Yuge! My favourite thing about Lush has to be the bubble bars, I don't know why but they are just the best and I love how they create endless bubbles! 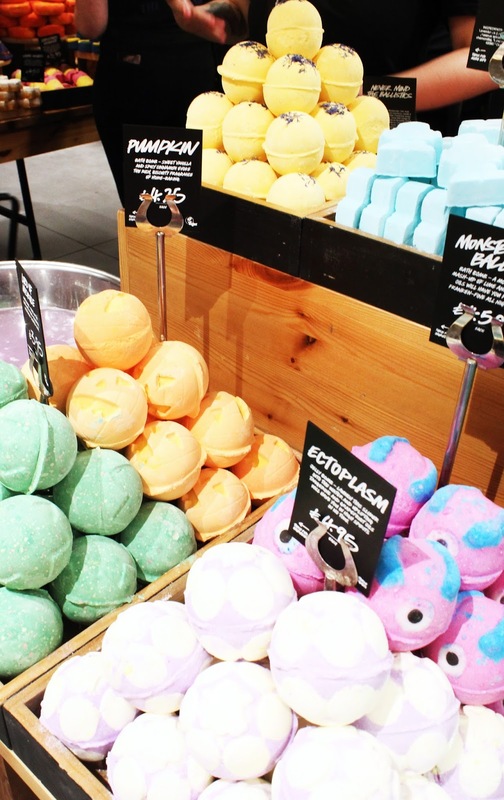 This year they've really upped it and have released some amazing smelling bubble bars, so much so that I have to step away before I bought the all of them! 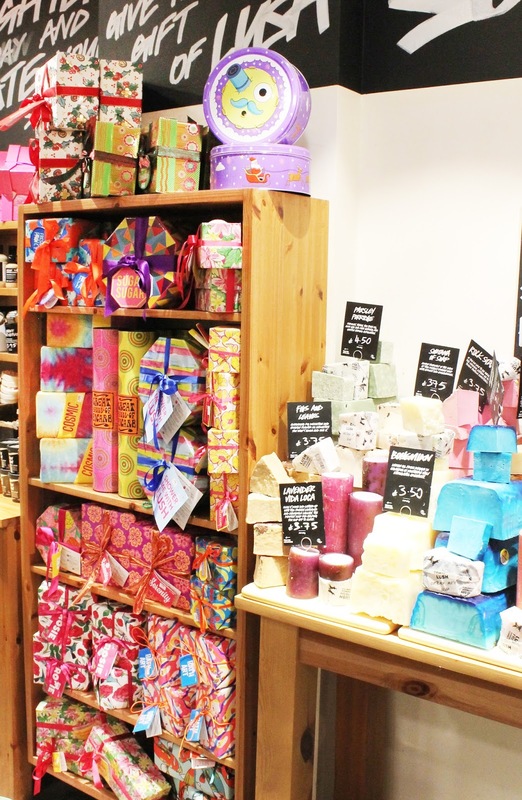 Out of all of them, the few i'd recommend giving a go would the Pink Pumpkin (£4.25) which is a sweet scented version of their well known Sparkly Pumpkin (£4.25). Also the My Two Front Teeth (£3.95) bubble bar smells incredible, so much so that I came away with two from the event (winning!). 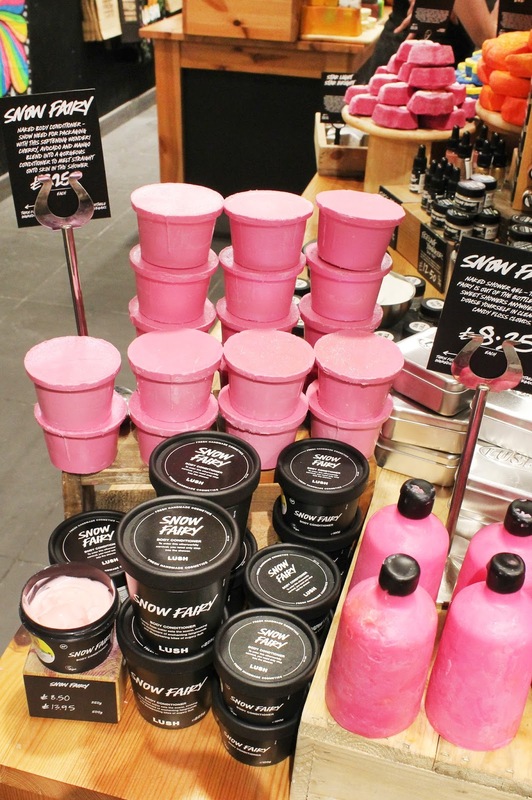 Finally the one thing that impressed the most out of Lush's latest releases has got to be their naked products. 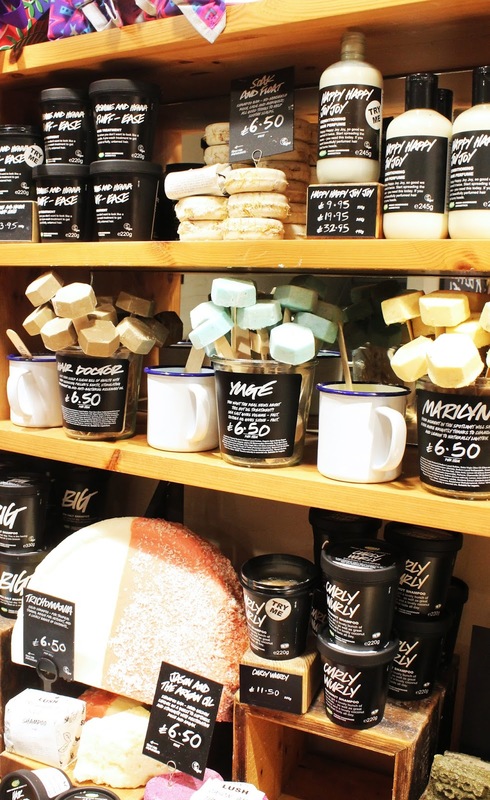 If you haven't seen, Lush have now started selling products that contain no packaging, yes no packaging, which is incredible if you ask me! Also what makes these products even more buyable is that they are 25p cheaper than the packaged versions of their products, and you get a lot more use out of the products because they contain a hella lot less water, meaning you're not wasting product. (You can read a little more about these here, if you're interested and want to know more). From the event I came away with the Berry Berry Christmas Naked Showergel* (£11.75) which smells absolutely incredible and I can't wait to start using this! I also will be sure to pick up a few more of their naked products in the coming months before they steal Snow Fairy away from us again, as I absolutely love the concept and after having them demo'd on my skin it definitely has impressed me to want to get more involved in using less packaging! 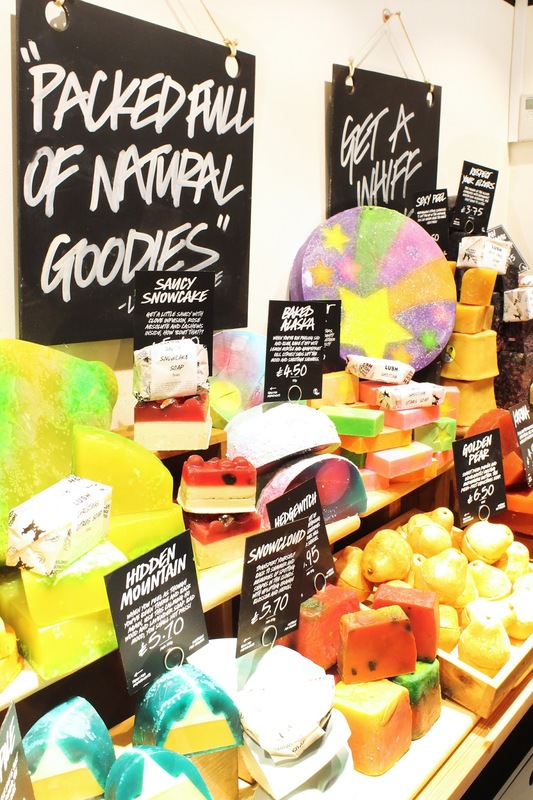 So that is a little look at my first ever Lush event, of which was everything I had hoped for and more! 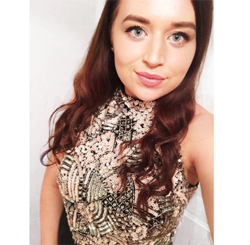 If you do ever get the chance to attend an event, make sure you go and get as much out of it as you can because I learnt so much, and i'm now officially obsessed with Lush again! 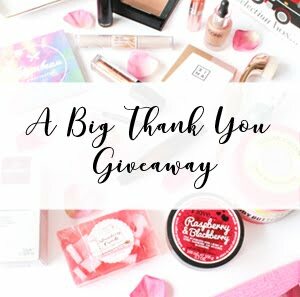 I also have a haul coming on Friday, so watch out for that! 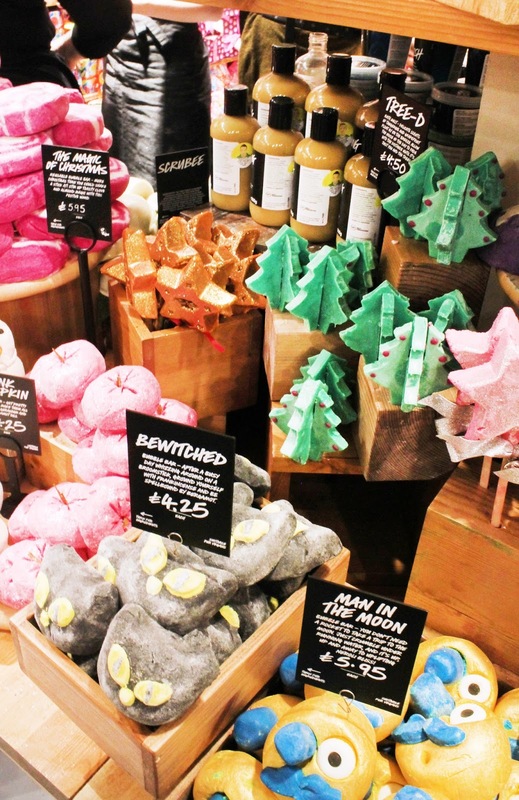 Have you attended a Lush event before?